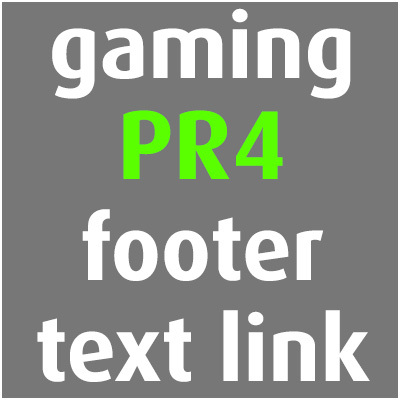 Offering a sitewide footer text link on a PR4 gaming magazine, domain age 11,5 years plus, stable PR4 for a couple of years now. Site is in Slovenian/English language and hosted in Germany. Price is per month, please use multiple quantity if you want it for a longer period of time. Also available in my other services are cheaper 3 month, 1 year and lifetime options! PR4 sitewide video game site footer link is ranked 5 out of 5. Based on 9 user reviews.